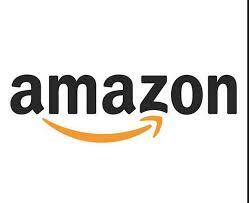 Amazon.com, Inc. (NASDAQ:AMZN) is not only highly popular with the wide array of its product offerings and quick delivery service, it is also now getting known for its customer-friendly return policies as well. E-commerce data company StellaServiceInc., whose research is cited by Bloomberg, has recently found out it takes only an average of 1.3 days for the Seattle based internet retailer to refund cash in favor of customers who wish to return items they purchased from the internet retailer. The said time-frame is the fastest among online retailers, and while other web-based retailing platforms are willing to pay refunds only upon having evidence that a return package for the item in question is already underway, Amazon.com, Inc. (NASDAQ:AMZN) offers “instant refund” on select purchases, which covers immediate issuance of credit and a 30-day window period for product returns. Target Corporation (NYSE:TGT) Target does not allow returning an item on the same day that it was bought, and if you are returning a gift item with a corresponding receipt, you will be given a gift card for the amount of the item being returned. Returning a gift without a receipt is allowed provided you enter the order number, email address of the person who bought the gift item, and release ID found at the package slip on their site’s “manage returns” page. Apple Inc. (NASDAQ:AAPL) Shop Apple shop allows only 14 days to return an item from the time it was received, requiring either the original receipt or the gift receipt. Returning items for cash is generally not allowed, although gift cards indicating the full price of the item being returned are issued. Macy’s, Inc. (NYSE:M) Gifts purchased at Macys.com may be returned through mail, and the store will issue a gift card for its value after 7 to 10 organization days. The same policy will apply on items returned to their brick-and-mortar stores. Returns lacking proof of purchase will still be issued gift cards, but for the item’s lowest recorded price within a 180 day period. Returns form a Macy’s retailer are not allowed through mails. There is no policy of time limit for returns.